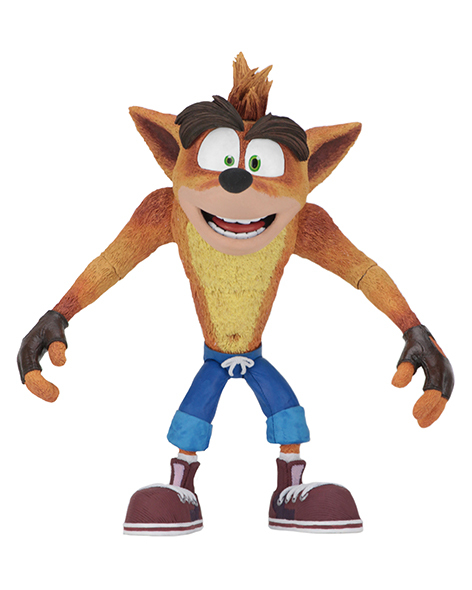 NECA’s debut release in the eagerly anticipated line of Crash Bandicoot action figures is Crash as you know and love him! This core figure stands 5.5 inches tall and features a head sculpt unique to this release. Crash has plenty of articulation for maximum wumps, but just as importantly, he’s outfitted with ball-jointed eyebrows to create a variety of crazy expressions. As a bonus, tucked inside the clamshell packaging is a thick cardstock replica of a crate!